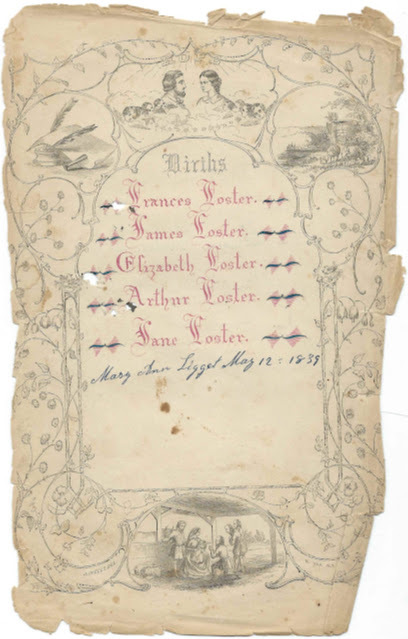 Family Records pages of the Henry and Jane Foster family of Quebec. If the pages were once part of a Family Bible, they were apparently removed long ago. 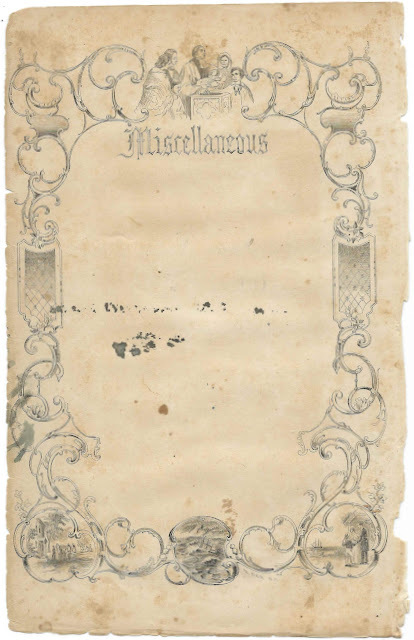 Based on a few clues, I believe the Bible, or at least the pages, passed into the hands of their son Arthur and his wife Mary Ann (Ligget) Foster. Their son Arthur Foster, who married Mary Ann Ligget on June 24, 1862. The Births page lists Henry and Jane's five children, but does not give their dates or places of birth. It also lists their daughter-in-law Mary Ann (Ligget) Foster. Arthur Foster, son of Henry and Jane Foster, died March 22, 1902, age 70. The Miscellaneous page is empty. 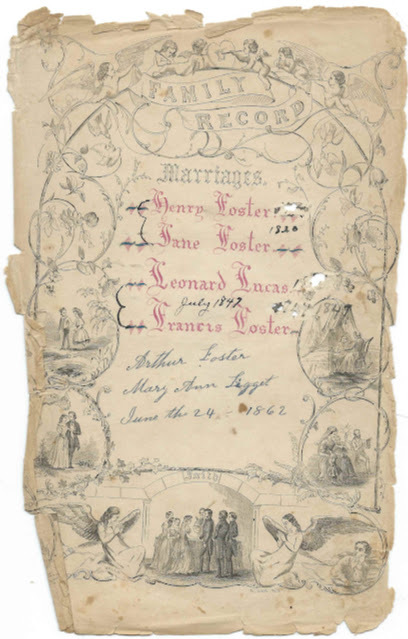 Henry Foster was born in County Sligo, Ireland about 1795; Jane was born about 1797, also in Ireland, I believe. They eventually settled in Quebec and had 5 children, Frances; James; Elizabeth; Arthur; and Jane. 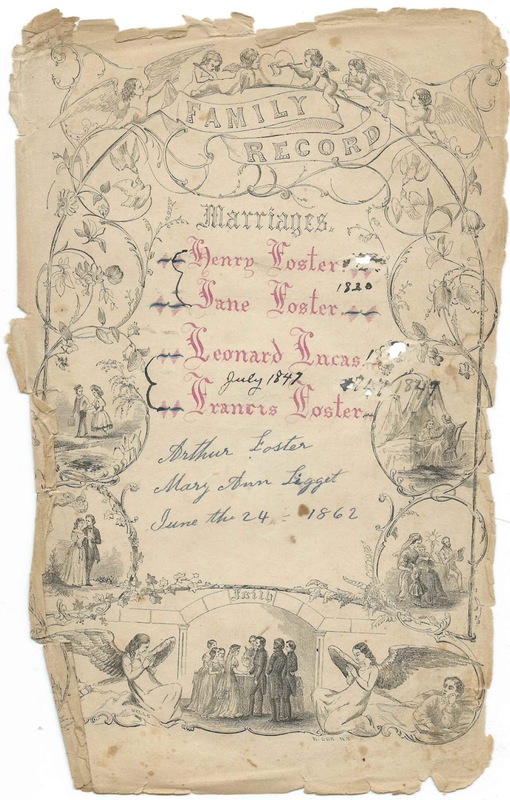 Frances Foster married Leonard Lucas in July 1842 and moved to Iowa. Arthur Foster married Mary Ann Ligget on June 24, 1862. Jane married James Ligget on August 15, 1860 and moved to Iowa, perhaps at the same time and to the same area as her sister Frances (Foster) Lucas. 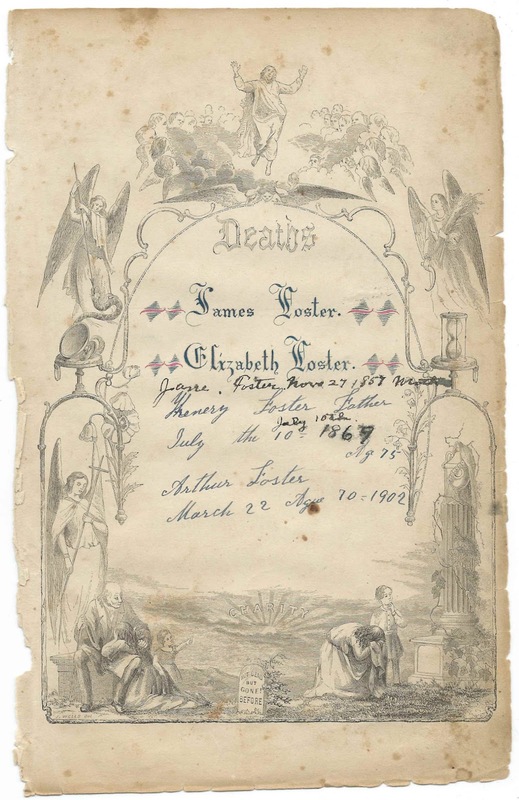 I don't have information for Elizabeth Foster and James Foster.